NordicBet – Complete the Vikings Missions! Win your share of the €5,000 cash prize pool! Spin on three Viking slots for your guaranteed share of the loot. Complete the missions by midnight on 5th February and secure your equal part from the massive prize pool. NordicBet has chosen the most popular Viking themed games for this promotion with easy to accomplish missions and will split the prize pool equally between all qualifying players. The 15th Birthday Celebrations are heating up as the the day is drawing nearer. Today players can look forward to a €10 Free Mobile Bet. Simply wager €20 at odds of minimum 1.5 on any events in their Sportsbook and instantly receive the bonus. You can use your mobile free bet on any event of your choice from mobile, including live betting before 5th February 2017 at 23.59 CET, after that it will be forfeited and removed from your account. If the mobile free bet is a winner you will get the net winnings paid out except the stake. You’ll need to wager the winnings 3x at odds of minimum 1.5 within 14 days. System bets do not contribute to the wagering requirement of the bonus. 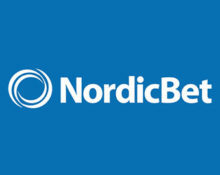 NordicBet not yet your gaming hangout? Then sign-up now and enjoy their generous Welcome Package specially tailored to your country of residence. To take part in the tournament OPT-IN on the promotion page, then deposit minimum €20 and complete all three missions before 23:59 CET on 5th February 2017. The €5,000 prize pool will be equally split on Monday, 6th February 2017 among all players who completed the missions. All prizes are credited as cash after 17:00 CET, no wagering requirements. 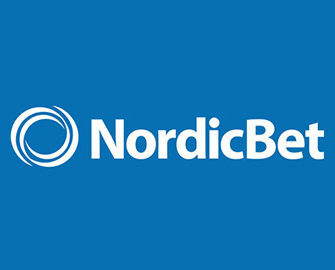 NordicBet Terms and Conditions apply. Launched in 2002, the website is operated by the acclaimed BML Group Ltd. under MGA Malta and UK Gambling Commission licenses. 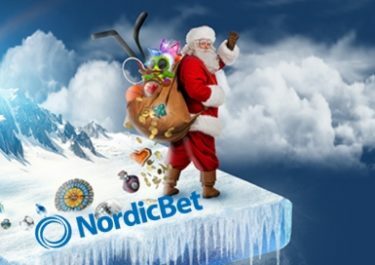 NordicBet offers Sportsbook, Live Bet, Casino, Live Casino, Virtual Sports and Poker with games from top providers such as Netent, Big Time Gaming, Elk Studios, IGT, Leander, Microgaming, NYX, Play’n GO, Quickspin, Scientific Games, Red Tiger, Thunderkick, WMS, Yggdrasil. The website is available in Danish, English, Finnish, German, Norwegian and Swedish languages and customer support provided 24/7 via Email, Live Chat and Phone. 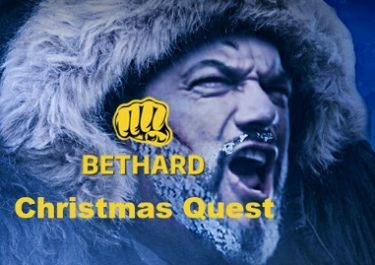 Bethard – Christmas Quest 2017 | Final Week! NordicBet – Christmas Calendar | Week 2! 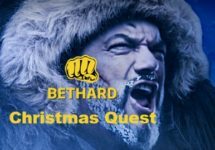 Bethard – Christmas Quest 2017 / Day 13!